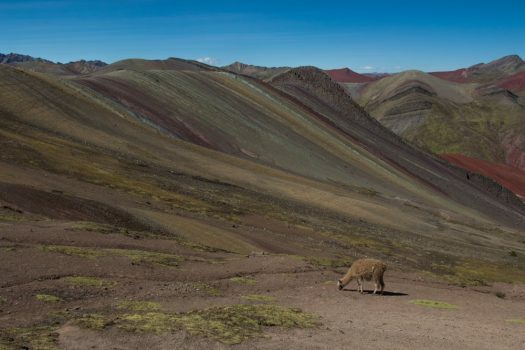 Outside of Cusco lies a truly magical landscape of painted colored mountains and sweeping red valleys in the Andes. 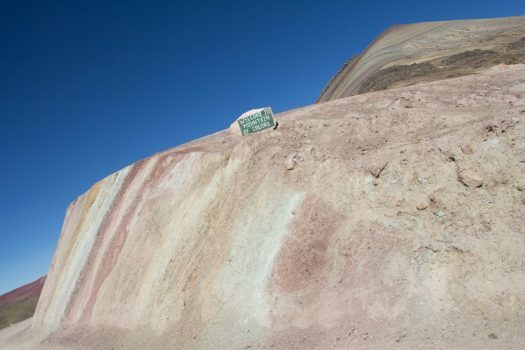 Rainbow Mountain, also known as Vinicunca, has become something of a ‘must-see’ site on the traditional tourist circuit in Cusco, but is now besieged by hundreds of daily visitors who hike at altitude for a single instagram photo. 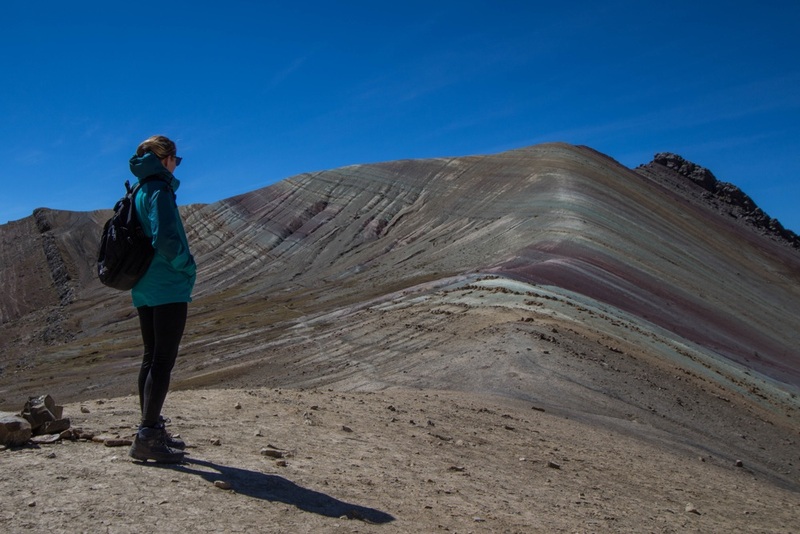 Few travelers realize that nearby there are in fact multiple rainbow mountains dotting this other-worldly landscape and that Palcoyo, an area of truly breath-taking beauty, can also be visited as a day-trip from Cusco. 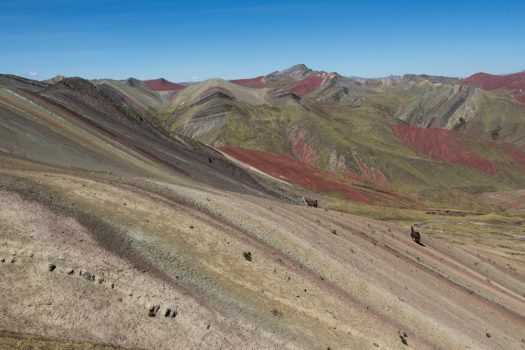 Known as the ‘alternative rainbow mountain’, Palcoyo sees far fewer visitors and requires much less up-hill hiking, making it a great way to admire Peru’s natural wonders without having to jostle for the best vantage point. Palcoyo is a long car journey from Cusco – three and a half hours driving one-way on mostly bumpy, unpaved roads – but the reward is vistas of the snow-capped peak of Apu Ausangate, pastoral scenes of Quechua-speaking herders tending to their llamas and alpacas grazing on the land, and impressive multi-toned mountains without the crowds. Unlike Rainbow Mountain, where backpackers leave Cusco from as early as 2.30am to beat the crowds, Palcoyo has a much more reasonable recommended start time of around 7am. With just a handful of daily visitors who visit this high-altitude scenery, it is yet to see any sign of over-tourism. And, while tourism is still its infancy, the local community have already organized basic infrastructure to welcome visitors. On my way to Palcoyo I paused in the small village of Checacupe (4,326 / 14,189ft) – just as easily visited on the return journey. Checacupe is known for its spectacular colonial church. Deceivingly simple on the outside, it reveals breathtakingly beautiful decoration on the interior and – even if you’re not especially interested in religious history and art – is a fascinating (and quick) stop to see a man-made wonder, contrasting to the natural spectacle of Palcoyo. Off the main village square is a Spanish colonial bridge and replica Incan bridge. Then, turning off the main roads, I wound through sleepy settlements and small villages in the Vilcanota Valley, seeing locals going about their daily life. From here I eventually reached the simple ticket checkpoint to pay the s/10 entrance fee (per person), where the Quechua-speaking locals were excited to see another tourist reach their village, even more so when they learned I worked at a travel company: the economic benefits of tourism have seeped further uphill to this community and I was enthusiastically offered a gift of papa seca (freeze-dried potato), a typical local food made in the Andes, to thank me for my visit. Having visited Rainbow Mountain only days before, I was struck by how they’d managed here to already put in place better infrastructure than Rainbow Mountain, with very decent western-toilets and a snack shop they were proud to show off. Driving on a few minutes we drew into the ‘car park’ to be immediately struck by the first of the three ‘rainbow’ mountains, reaching Palcoyo at 4,700m / 15,419 ft. The car park was literally next to the first mountain – something that might want to be re-considered as tourism grows here, at least from the aesthetic perspective of the tourist’s interests. I got out the car to start the walk, with gentle inclining trails carving across the mountainside. 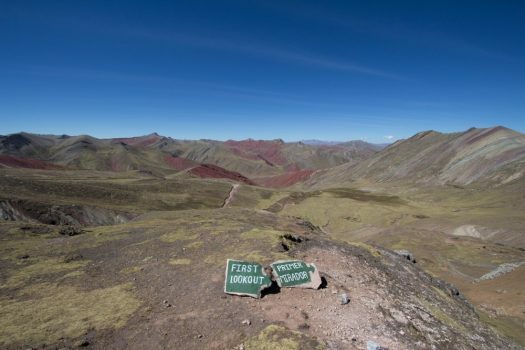 The hike here at Palcoyo proved to be relatively short and gentle to reach the marked viewpoints, but at altitude requires some effort on the inclines. 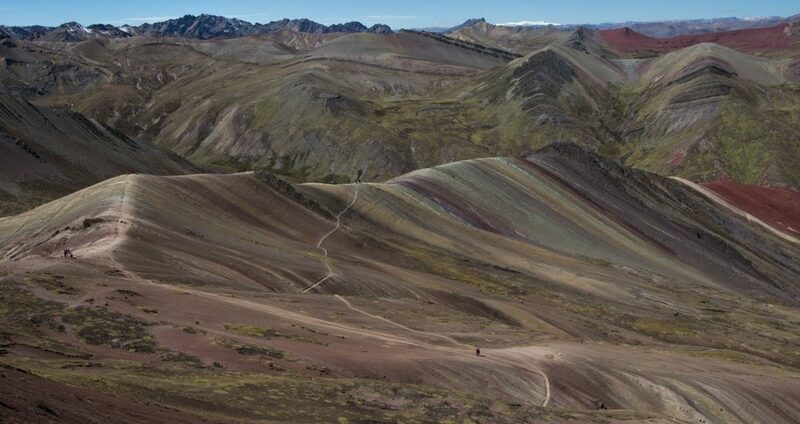 This contrasts to the one-day tour to Rainbow Mountain, which has a very challenging uphill ascent. The walk at Palcoyo was broken up by the various vistas, including the three rainbow-colored mountains and panoramic views of the Red Valley. While the outing to Palcoyo does count as a ‘trek’, as a keen hiker it felt to me more like a photo expedition with some walking involved, rather than a proper hike, since it was impossible not to pause repeatedly to admire the view and take some landscape shots. That said, if you never normally hike, then do be aware there is some walking involved and, due to the altitude, anyone (even the very fit!) will be sure to notice the thinner air on uphill stretches. 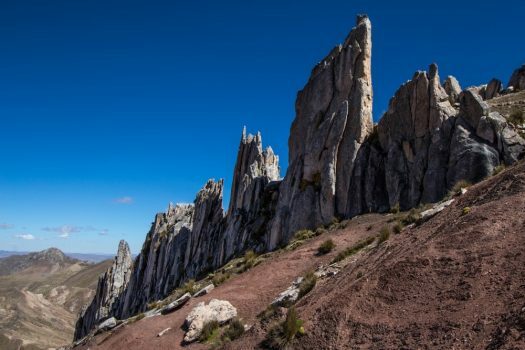 I chose to climb the optional short-but-steep trail to the ‘Bosque de Piedras’ (Stone Wood), where the protruding rocks look like you’ve landed on another planet. It is absolutely worth the climb. In total I spent around 3hrs walking around Palcoyo and taking (lots!) of photos of the various colored mountains, but this timing will very much depend on your pace and how long you stop for photos. On average you probably need around two and a half hours to walk and snap away. I clocked up a total of 6km, though did a bit of backtracking for a few extra photos, so the total distance on average for visitors here is more like 4.5km. I had a box lunch organized through Aracari for the day’s excursion – there are no restaurants here – and got back to Cusco at around 6pm. 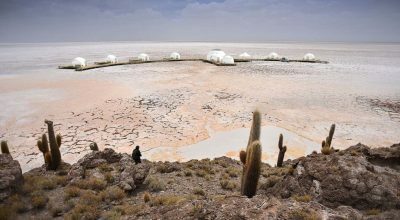 If you’re interested in visiting Palcoyo, keep in mind it’s at altitude so will require acclimatization before visiting. As Palcoyo lie’s south-east of Cusco, it’s best to visit Machu Picchu and Cusco first, givin you time to adjust to the mountain air. Since this trip is all about the staggering views, it’s also much better to visit in the dry season – otherwise the relative effort to get here (the long car journey) simply won’t be worth it for cloudy, foggy or snowy views. 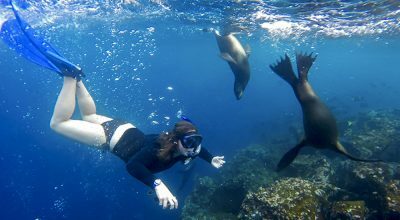 I was wearing hiking boots which made it easier to clamber over the rocks and explore a bit more – otherwise comfortable walking shoes or decent sports shoes would have sufficed. Cold winds in the Andes Mountains meant that even when the sun was shining brightly, you could feel a chill in the air the moment the wind picked up, so wearing a proper wind-proof jacket was also essential to being comfortable. Wearing layers is the best approach to dealing with weather that can change quickly! Given how jaw-droppingly incredible the views are, a day trip doesn’t really do this scenery justice. I visited Palcoyo as a day trip, shortly after completing a multi-day camping trek around Ausangate, which is in the same area. I was blown away by a variety of sparkling glacial lakes, vibrant red valleys and picturesque landscapes. If you’re short on time and want to tick-off impressive landscapes in a hurry without committing to much hiking, then Palcoyo is a very interesting option as a day trip. 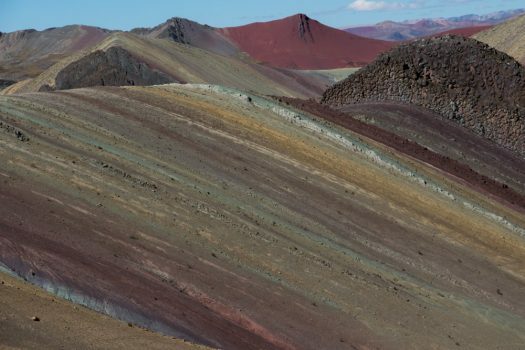 Otherwise, I’d unquestioningly recommend you consider the other longer options in this area as the ‘rainbow’ mountains are certainly not the only views to write home about – or, rather, share on instagram. For example, you can take a lodge-to-lodge trek starting from as short as two days and one night in this region, taking in Rainbow Mountain with a careful crowd-avoidance route not possible if you visit with one day. 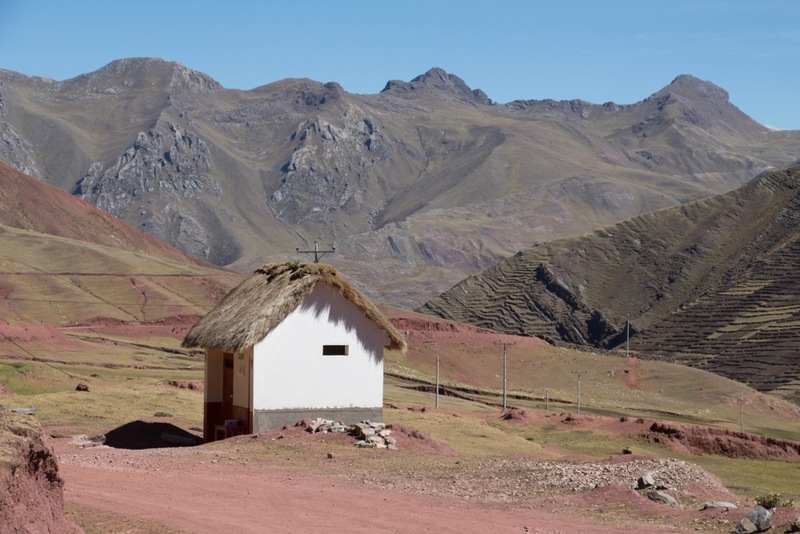 There are also longer lodge-to-lodge routes like the five day, four night Ausangate trek which Marisol Mosquera, Aracari’s Founder tested out which the Financial Times How to Spend It then raved about. 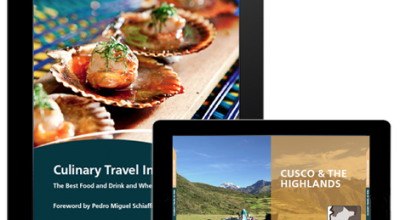 Aracari offers day trips to Palcoyo as part of any tailormade trip to Peru. 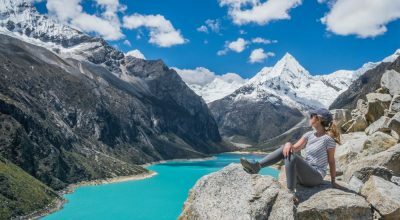 If you’d like expert travel advice on Palcoyo, how to visit Rainbow Mountain or more information on Ausangate and the best hiking options in Cusco, contact us today to speak to an expert travel consultant for first-hand information and travel intel.